The wait for the perfect True Text converter is officially over! 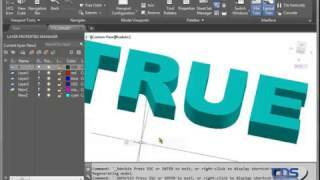 TTCONV 3D even creates 3D text. Any text within the drawing can be selected and converted into vector outlines, filled hatch or 3D solids. True text conversion has been made easy by CAD Design Software latest addition to their collection of full featured utility apps on the app store. Check out this amazing app today! The Application works great and the support for the product is even better.